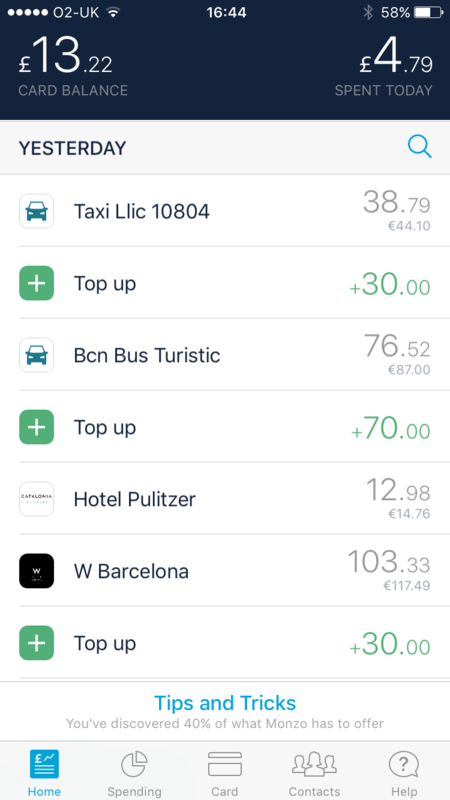 If you are going abroad this summer, this review of Monzo is for you! I’ve just got back from an amazing long weekend away with my girlfriends in Barcelona. It’s a trip we’ve been talking about doing for a while but in between children, work and life getting in the way, it’s taken us a few years to actually get around to booking it! I’m so glad we did though because it’s such a beautiful city and we had the best time. Before we went, I signed up for a relatively new banking product called Monzo which charges no fees when you spend money abroad. So our Barcelona trip provided a great opportunity for me to test out my pre-paid debit card abroad and see if the buzz around how easy it is to use abroad is as good as the hype. Well I can safely say that I won’t be travelling with cash ever again abroad – this funky bright orange you-can’t-miss-me card is the smartphone generation’s solution to never having to worry about exchanging foreign currency again when you travel overseas. It’s safe, convenient, full of useful features and has less fees than a high street bank’s debit or credit card when used abroad. The company is about 2 years old and was formed with a vision to build the best current account for the smart phone generation. There are no branches, no cheque books, not even an account number and sort code. In a nutshell, it currently offers a prepaid Mastercard debit card which can be used at cash machines, online and in-store. It’s differentiator is that it is fully managed via the Monzo app. 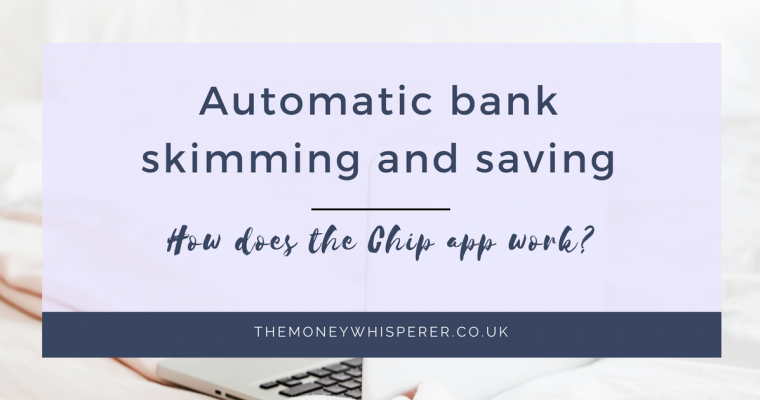 If you’re an app addict like me then you will love this banking solution. My favourite feature has to come first; there are no standard charges or fees to use the card. It’s free. 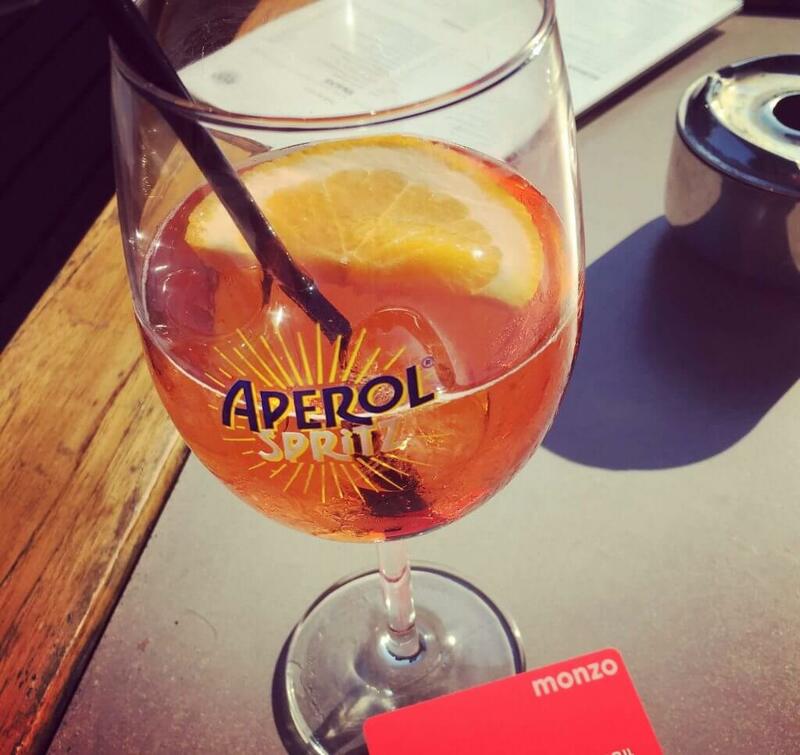 When you use your card abroad, Monzo doesn’t charge any fees, whether to make payments or withdraw cash. That’s zero pounds folks. Monzo passes the MasterCard rate directly on to you (this is very close to the mid-market rate for most currencies). Compare this to using your regular high street bank debit card where you may pay both a flat fee or percentage charge just to use the card abroad or withdraw cash, and then a dynamic currency conversion based on the bank’s own rate, which is usually ALWAYS worse than the MasterCard rate. By using Monzo you avoid both of these. It really is a great solution to international payments and could potentially save you hundreds of pounds on a big trip. You can top up your card using either debit card, Apple Pay or bank transfer. Debit card and Apple Pay transfers are instant whereas bank transfers can take up to 24 hours to be processed. I went to Barcelona with £100 (my initial deposit) on the card. As soon as you spend on the card you get an almost instant notification from the app showing the merchant and how much you have spent, along with your updated balance. It’s similar to Apple Pay in that respect. A very cool feature. 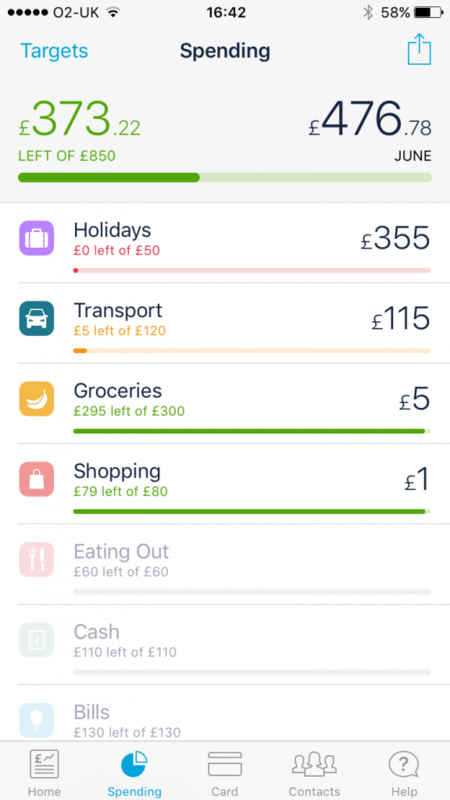 I actually kept the balance very low once I’d spent the initial £100 and every time I got a bill at a restaurant or bar, I just loaded enough on to my Monzo card (with Apple Pay) to pay the bill. It was instant to load the money on and I never ended up with a lot of pre-paid money sitting on the card. This is a really great feature, especially if you are travelling somewhere where the crime rate is high; if you do have your card stolen, it doesn’t ever need to have that much money sitting on it because you can load just before you use it. I haven’t ever lost my bank card or had it stolen (touch wood!) but I imagine there’s a moment of panic when you want to contact the bank to get it stopped. Monzo have thought this through fantastically – your app has the ability to put an instant freeze on your card at the touch of a button. This is fabulous! As all your transactions show up immediately on your phone screen, if you notice any transactions coming through which you haven’t made, you can instantly freeze the card using your app and stop any further potentially fraudulent activity. How many times have you lost your wallet and then found it again within minutes? With a traditional bank, if you’ve cancelled your card in those intervening minutes, you will have to wait for the new card to come in the post. With Monzo, you simply unfreeze the card. So, so simple. And if you really have lost your card though, Monzo commit to dispatching a replacement card for you in the post on the same day if you need a new one. It’s a big step up from waiting a month to get a bank statement from your high street bank and if you are someone who keeps to a budget, all the hard work is done for you in tracking your spend. 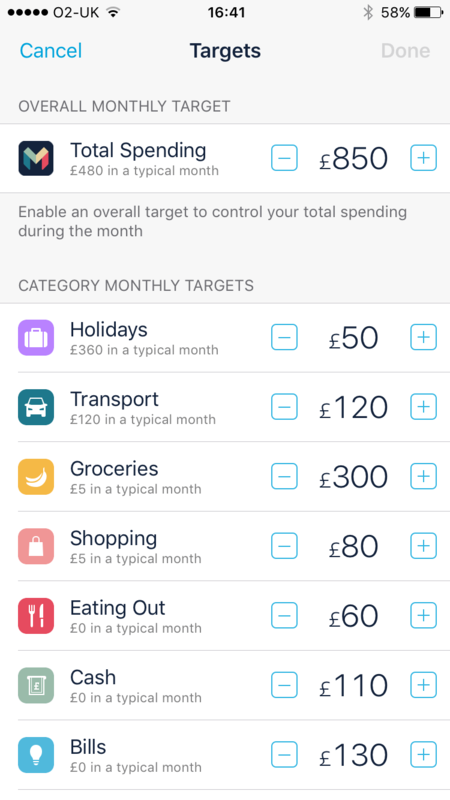 You can also set target spends for the month split by category; Monzo then lets you know when you are approaching your spending target via a traffic light system. There is also the added benefit of being able to add photos of receipts for purchases. I had to contact Monzo a couple of times about my address and to check deliver timeframes and the response was within minutes each time, even at the weekend. In today’s world where everything happens real-time, this sort of customer service is a huge bonus for me. 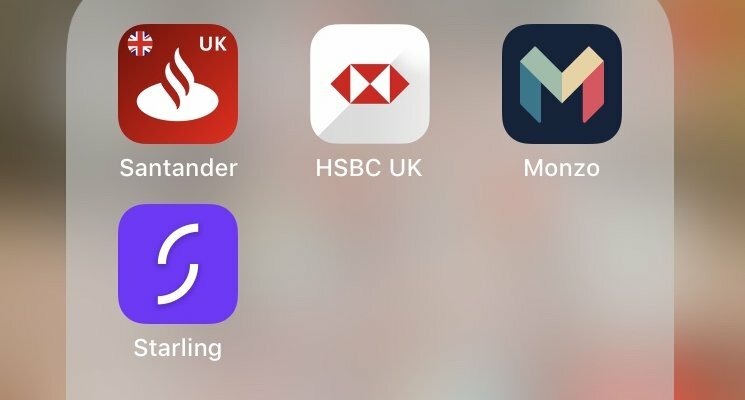 For some people, Monzo’s clever app for every day smart-phone banking will make it quickly outshine its high street competitors. For others, just the benefits from travel alone will make it popular. I will definitely use it for all my travel currency needs now whenever I go abroad. I can also see that because of its pre-paid nature, it could be easily be used to control how much money parents provide to older children to spend or used if you really need to keep to a budget for any duration as you can’t overspend. 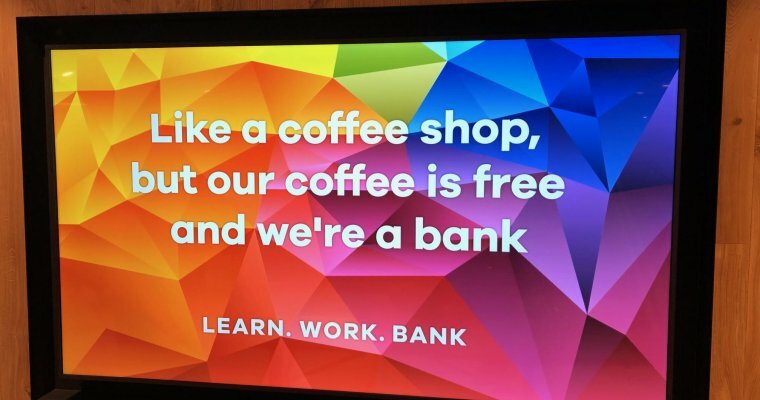 Monzo’s strategy was to design a bank that people wanted. They seem to have managed it! If you are going on holiday this summer, what are you waiting for? It’s a no brainer…. 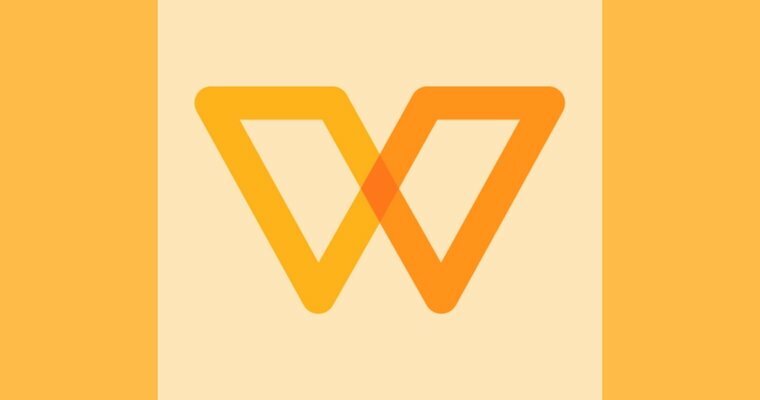 Having used Monzo for a long time now around the world, we can confidently say it is an amazing bank, trust worthy and definitely worth getting! Don’t get put off by the queue either, find a link to jump to the front of the queue and they will get you a card the same day. Thats what we did! We ordered the card after reading your post. On our holiday now, we can confirm it works well. Great news Maria – glad you are enjoying it!